What’s the big deal about James Hardie siding? Well, we’ve been performing home improvement and remodeling services for many years, and we’ve seen a lot come and go. James Hardie is one of the brands that we are proud to be associated with. Their siding products are among the highest quality you can find, and both James Hardie and American Home Contractors believe they are the best investment you can make in your home’s exterior. If you are looking for quality siding for your home, the team at American Home Contractors has you covered. James Hardie Siding is one of the premium choices in residential siding and we can install it for you with top-notch workmanship and service! James Hardie siding is a fiber-cement siding that provides your home with functionality, versatility, and value for the money. James Hardie is a recognized name in the real estate and construction industry. When you choose James Hardie siding for your home, you will enjoy the variety of colors and the look that you get from your new siding. There are a number of reasons why you may want to change the siding on your home. Whether it is fading, old, outdated, or you simply are not happy with the color of it, you will find that James Hardie offers amazing colors and quality siding. When you work with American Home Contractors, you are working with the most experienced James Hardie siding contractors in the New Jersey area. 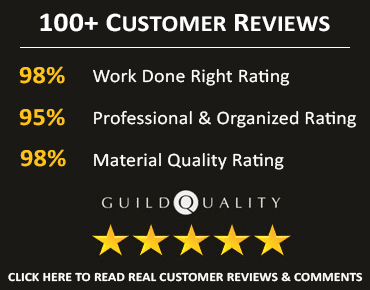 We guarantee all of our work and provide you with the best recommendations that make sense for your home. 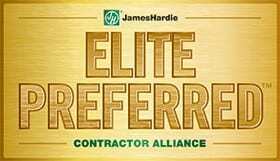 We are honored to hold the elite status of “Preferred Remodeler” with James Hardie. We always follow the strict James Hardie installation process to ensure your siding conforms to their specifications. 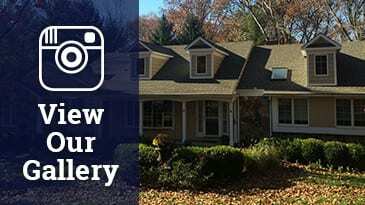 You will receive a warranty with your siding as well.